Reagan Summerside here at the Prissy Fox my consignment shop in Savannah, Georgia. 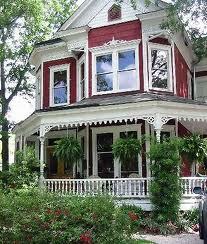 I opened the place a few months ago on the first floor of my old Victorian house, Cherry House, to make ends meet. When my dear ex, Hollis, divorced me I had to figure out a way to pay for the place. I sold off my designer clothes that I didn’t need any longer since Hollis kicked me to the curb for his new and younger Cupcake. Then I got friends to bring in their nice things they no longer wore. I love consignment shopping. 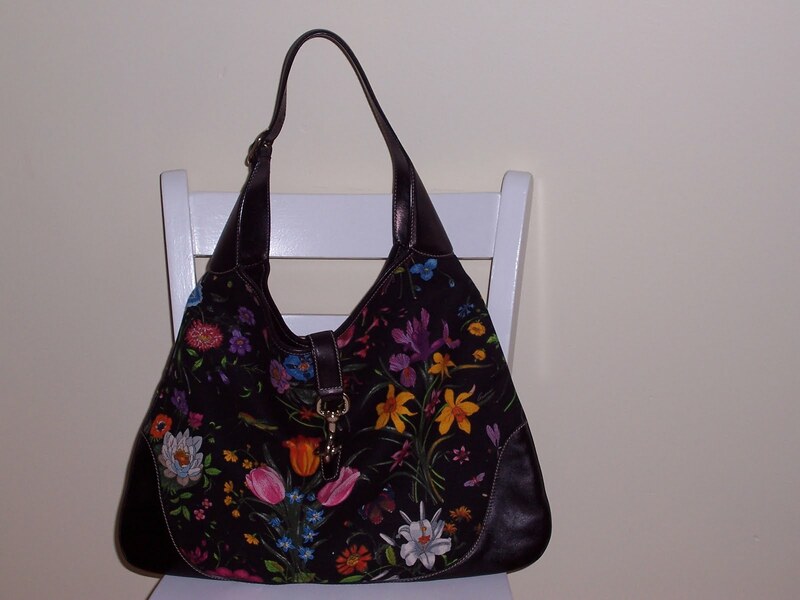 Some of my best purses and shoes came from consignment shops. I got this cute Gucci purse for a hundred bucks. It would have set me back $500 at Macys. Who’s got $500 to spend on a purse! 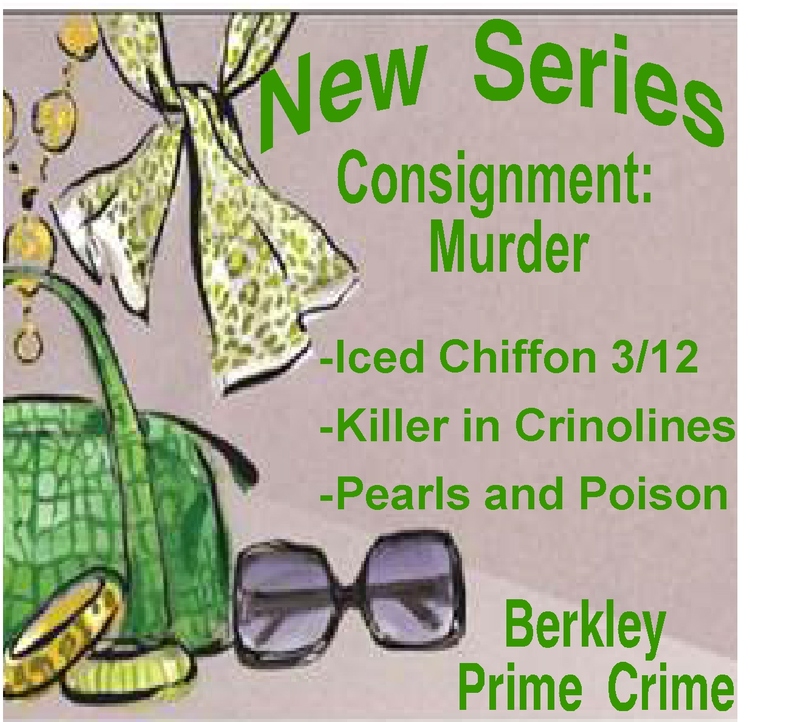 Do you shop the consignment stores? Have you scored a real deal? 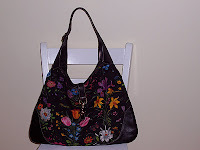 Let me know and I’ll send you off a Duffy Brown tote with other goodies. Happy shopping...consignment shopping, that is. I'm so looking forward to this series! When is the release? I know the date moved around a little. I need to mark my calendar! I love consignment shopping, especially with a friend. Can't wait for this new series, too! 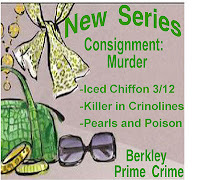 Consignment shopping can be a lot of fun and as you said, a real steal. Do you sell items someone would murder for, also? A pair of pink Prada shoes size seven came into the Prissy Fox the other day and Letta Anderson and JoLynn Preston had a knockdown dragout fight right there in the shop over them. Well, I tell you I never saw anything like it. JoLynn got the shoes but the next day her car got run off the road and she wound up in the swamp. Someone tried to kill her, 'course no one's saying who that someone is! Lord have mercy! All over shoes. What would they do for a Prada dress! Release date for Iced Chiffon is Oct 1012. I got the cover copy yesterday and waiting on the cover art. . Thanks for asking. I'm so excited. I love Consignment stores! You can find such great bargins! I found a great dress and jacket at a great Consignment store a few years ago.. Your new book sounds great! I look forward to reading it. The dress and jacket sound amazing. Think what it would cost at the mall! Do you sell your stuff at a consignment store? I just turned in a pink coat that somehow got to small for me. Hope to make a little Christmas money! I don't shop consignment stores, but I do know how to find good bargains. And it's sooo much fun. Nothing like finding a good deal and with Christmas right around the corner there are a lot of good deals out there! Thanks for chatting. As always it's so much fun.